Ireland insists British Prime Minister Theresa May makes good on commitments to provide a “backstop” plan to ensure Brexit does not create a disruptive hard border with Northern Ireland, Ireland’s Foreign Minister said on Monday. 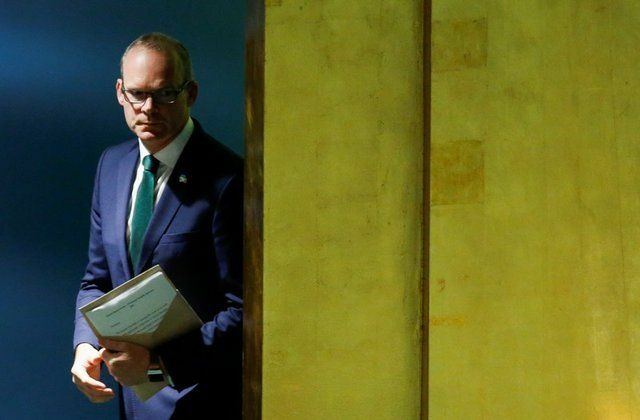 Speaking as he arrived to meet fellow EU ministers in Luxembourg, Simon Coveney told reporters he was frustrated but calm after Brexit negotiations stalled on Sunday and said that he believed a deal was still possible after a summit this week. “I think we are frustrated, but we’re still pretty calm about that,” Coveney said when asked if he was frustrated by the breakdown of talks, which came after renewed British refusal to accept a backstop that would create a customs border between Northern Ireland and the mainland if no better deal were found. “Time is moving on, ratification mechanisms are going to take time,” Coveney said, noting the urgency to reach a deal well before Britain leaves the European Union in March. “I think there was a real effort over the last 10 days by the two negotiating teams to intensify engagement so that they could have a set of recommendations for political leaders this week,” he said. “That hasn’t proven possible.